The ServerCall® 12, 24 (shown), 48, or 72 Transmitter and Cancel Panels for your kitchen helps you manage food orders more effectively and profitably. 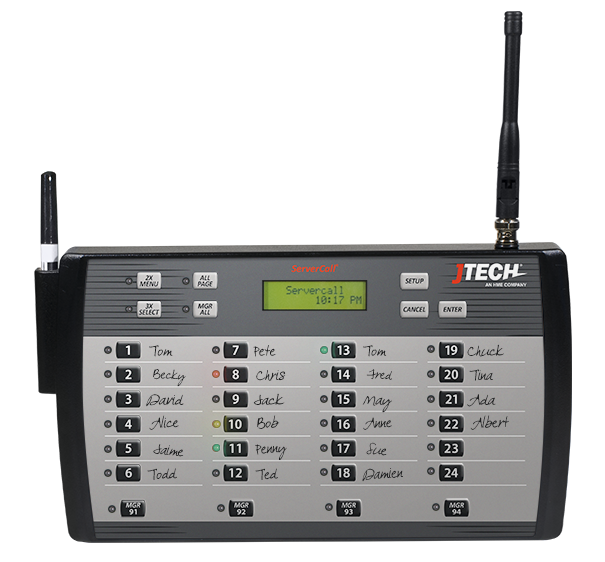 With the ServerCall Transmitter One-Touch paging and Auto-Recall features you can streamline traffic and your kitchen staff can notify servers only when they're needed. Add the Cancel panel to allow servers to conveniently cancel the page when the food is picked up without interrupting the kitchen workflow. The ServerCall® Transmitter has programmable "Duty Alerts" for quick reminders and communication. The ServerCall® Transmitter and Cancel Panel are available in 12, 24, 48 and 72 button options. Automatically pages the server up to 3 times when food is ready for pick-up. The manager is automatically paged after the 3rd time to provide further assistance. Allows managers to quickly send a message to the entire staff for shift meetings, menu changes, etc. Engineered with durable plastic made to withstand the high-traffic restaurant environment. Instantly calls the manager to provide additional assistance as necessary. 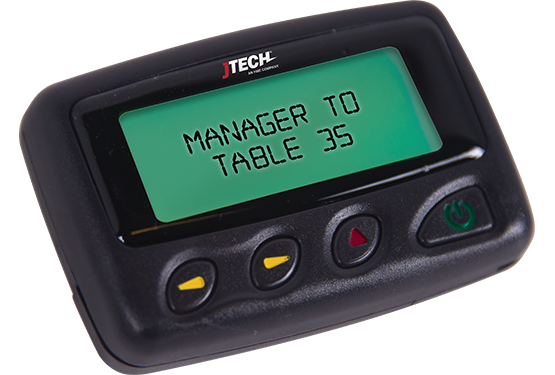 Mix and match pagers for the best solution to fit your budget and operation. Management: SNMP, Telnet, Serial, Internal Web Server and Windows based utility for configuration. Copyright 2019 JTECH, an HME Company. All rights reserved.